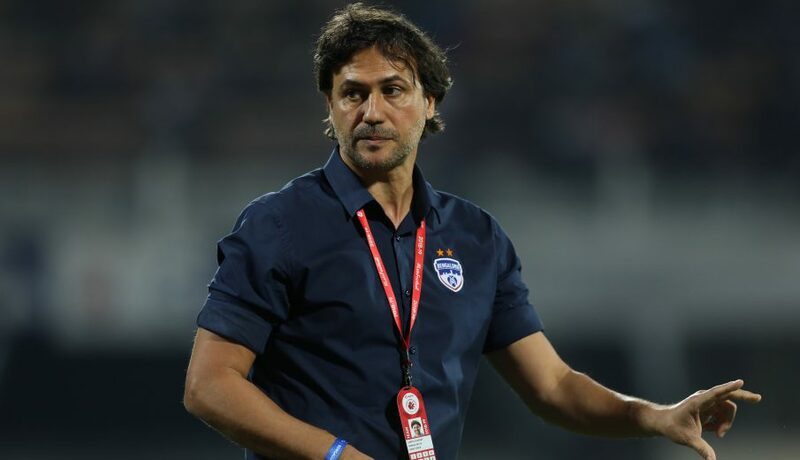 When Albert Roca decided not to renew his contract with Bengaluru FC at the end of last season, the choice for the champion side was obvious. The Blues chose to bring in a familiar face in Carles Cuadrat. The Spaniard was part of the coaching set-up and knew how to get things done at a club that has always set the bar high in Indian football. But was Cuadrat the right choice? Would he be able to step into the boots of Roca? Will the players respect him as much as they did previous high-profile coaches like Roca and Ashley Westwood before him? There were several questions but at least Bengaluru FC never seemed to be in doubt. They have been proved right. After losing out on the coveted Hero Indian Super League trophy in the final, an unquenchable thirst for success has brought Bengaluru together under Cuadrat. Bengaluru’s togetherness and fighting spirit have helped them overcome difficult in-game scenarios more than once this season. Be it thumping FC Goa 3-0 during the league stage despite playing 45 minutes with 10 men or turning the semi-final against NorthEast United around after having lost the first leg 1-2, the Blues have projected a united front to get to the final. “Now we have just one job and that is to win the final. The final will be really tough. Goa are a wonderful team,” said Cuadrat. There is something different about this team than the ones that Bengaluru had in the past. This team stands out for their ability to grind out results. Last season under Roca, Bengaluru dominated the league stage and eased their way into the final. But this season, even though they have been found wanting at time, their place in the final never seemed in doubt. If it was Miku and Sunil Chhetri who led the team from the front by scoring most of the team’s goals last season, it is teamwork that has taken Bengaluru forward under Cuadrat. There is no single standout performer this time around as everyone has immensely contributed to the greater good. Even when Miku missed games due to injury and Chhetri struggled to score, there was always a match-winning performance that sealed the points. Harmanjot Khabra was reinvented as an attacking midfielder, Udanta Singh improved his output in the final third and when Erik Paartalu picked up a season-ending injury, Dimas Delgado stepped up to take up more responsibility in midfield. Albert Serran replaced John Johnson as Juanan’s trusted partner at centre-back and the rest of the backline also stepped up to form one of the best defences in the league. Bengaluru’s reputation for playing an attacking brand of football remained unharmed. “The final is a different game. We know how to play against Goa. We need to worry just about us. We have worked hard to be here. We are in the final and it is amazing,” said Dimas Delgado, the anchor in Bengaluru’s midfield who will once again be called upon to break Goa down in the final. Back-to-back finalists Bengaluru are a special team, one that is destined to achieve greatness. Their journey continues at the Mumbai Football Arena on Sunday.